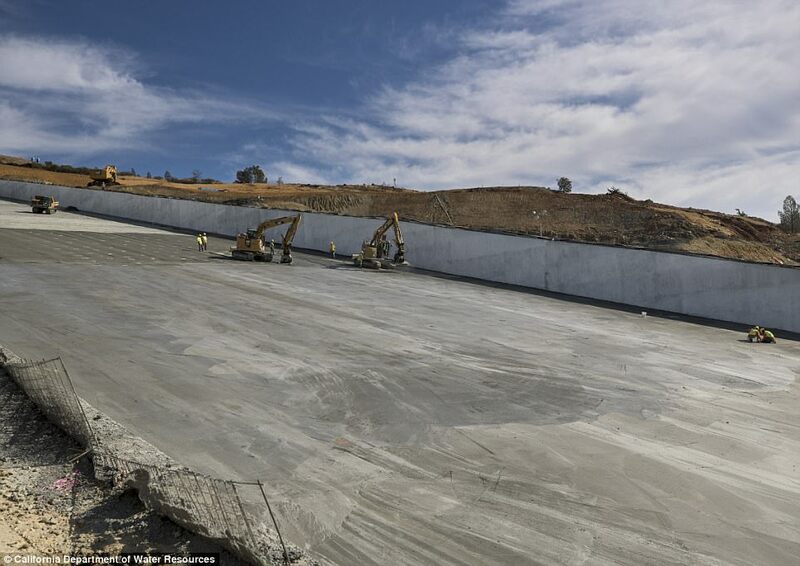 Small cracks have appeared in a new concrete spillway at Oroville Dam, a development state officials say was expected but an engineering expert says could lead to serious safety issues. In a previously undisclosed October letter, federal regulators asked Department of Water Resources officials to explain the hairline cracks on the Butte County, California dam's massive new concrete flood-control chute, KQED reported Tuesday. The Federal Energy Regulatory Commission also asked state water officials what, if any, steps might be required to address the issue. 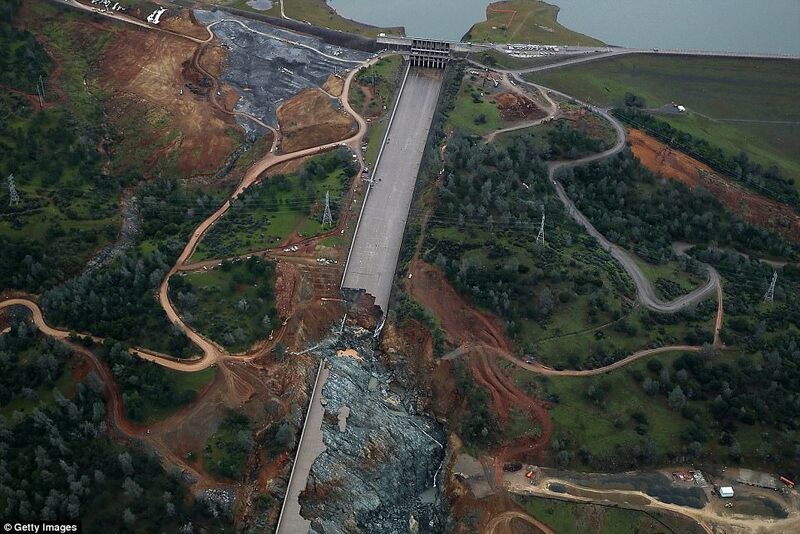 In February, authorities ordered nearly 200,000 people downstream of the dam to evacuate when both spillways suddenly began crumbling. The feared uncontrolled releases of water over the dam did not occur, and authorities allowed residents to return to their homes within days. 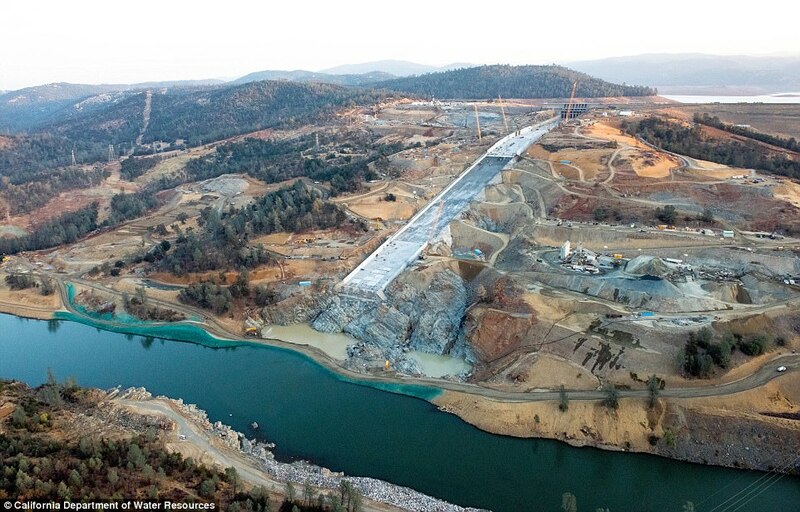 State officials say emergency and subsequent repairs of the 770-foot dam have so far cost at least $640million, warning that not all costs have been identified yet. 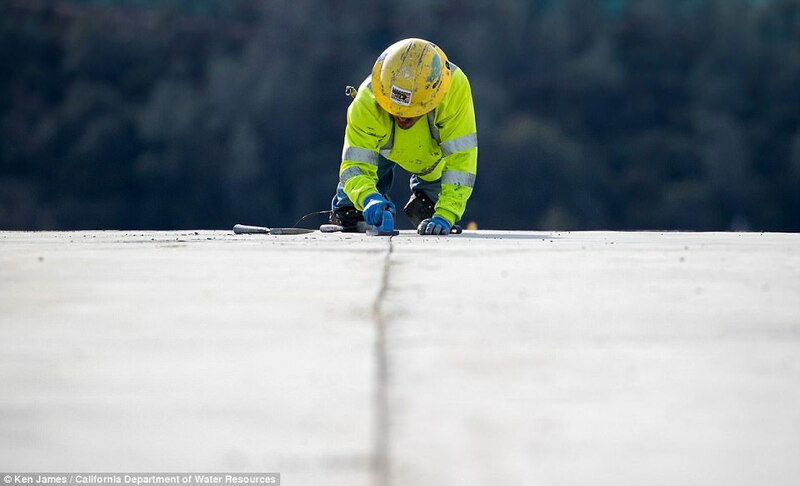 In their response to federal regulators, California water officials said in November that the state's efforts to build a more durable spillway caused the cracks, which were anticipated. 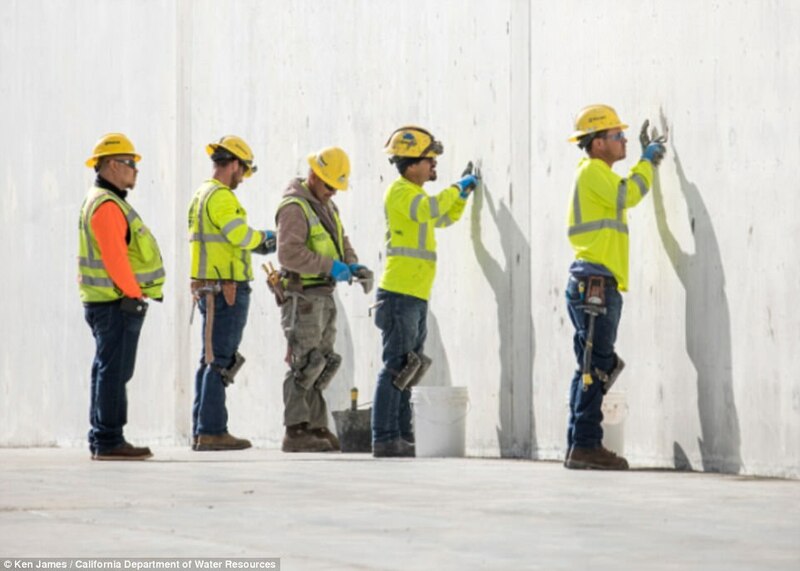 University of California civil engineering professor Robert Bea, a veteran analyst of structure failures, said cracking in high-strength reinforced concrete structures is never expected. The cracking 'develops paths for water to reach the steel elements embedded in the concrete and accelerate corrosion,' Bea wrote in an email. The massive repair project to the main spillway was largely completed by the state's self-imposed November 1 deadline, as officials rushed to ready the dam for the rainy season. At that time, state officials released stunning timelapse and drone videos showing the extensive repairs to the dam. 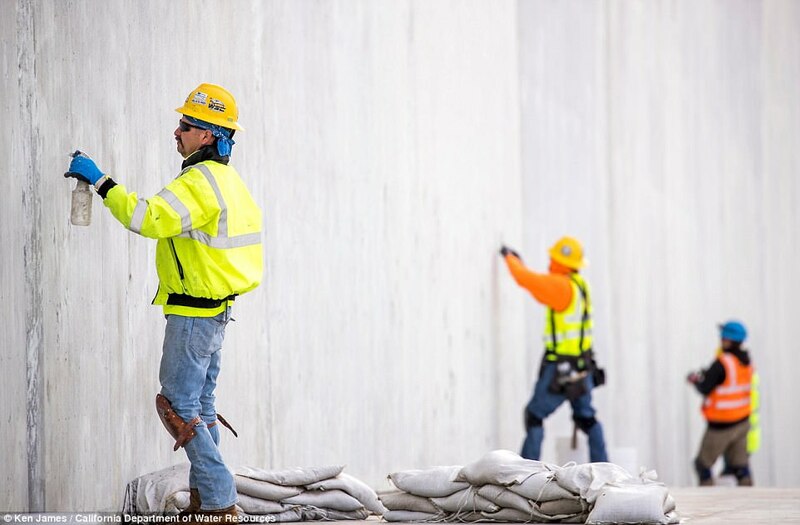 Repairs to the emergency spillway, a separate structure, are about halfway done, and are scheduled for completion in January, the department said.